Orthorexia nervosa is a currently investigated eating disorder proposed by US physician Steve Bratman, defined as pathological fixation on eating healthy food. 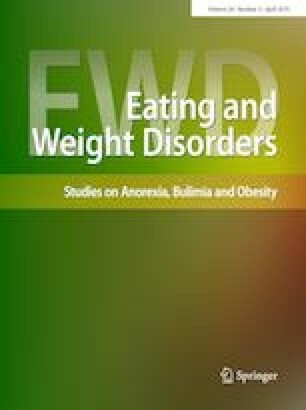 This study aimed to develop, by consensus of experts, the basic items for a new questionnaire to evaluate some defining psychological features of orthorexia nervosa in English and Spanish language, the so-called Barcelona Orthorexia Scale (BOS). The initial item pool was composed of 105 items divided into six different content areas. To analyse the content of the items, a three-round Delphi study was developed, in which participants had to evaluate the representativeness and clarity of each item. Participants were chosen because of their knowledge on orthorexia and/or eating disorders. 58 experts, from 17 different countries, participated in the initial round and 30 in the last round. Items were added, rephrased, changed into another content area, modified or eliminated according to the participants’ suggestions, partly due to the group’s response, analysed statistically, and partly due to participants’ recommendations. 64 items were obtained, with two versions in Spanish and English. The future BOS aims to provide a possible solution to the shortage of valid instruments to evaluate psychological features of orthorexia and to promote research on this field. Further analysis regarding validity and reliability is necessary to prove the BOS’ value on this matter. The online version of this article ( https://doi.org/10.1007/s40519-018-0556-4) contains supplementary material, which is available to authorized users. We would like to thank all the experts participating in this study. Participants appear in alphabetical order (only those who agreed to publish their name): Aksoydan, E. (Turkey); Alvarenga, M. (Brasil); Barthels, F. (Germany); Bratman, S. (USA); Brytek-Matera, A. (Poland); Burnell, J. (USA); Canalda, G. (Spain); Cerniglia Utiu, L. (Italy); Clifford, D. (USA); Díaz-Tendero, D. (Chile); Duarte, C. (Portugal); Fidan, T. (Turkey); Flores Robaina, N. E. (Spain); García Dantas, A. (Spain); Håman, L. (Sweden); Herrin, M. (USA); Kachani, A. (Brasil); Lagos Hernandez, R. I. (Chile); López Medina, Mª. D. (Spain); Meule, (A) (Austria); Murawski, (B) M. (Argentina); Pérez, (C) (Chile); Ruiz, I. (Spain); Sánchez Carracedo, (D) (Spain); Setnick, J. (USA); Shin, J. (Republic of Korea); Ströbele-Benschop, N. (Germany); Torres, I. (Spain); Trujano, P. (México.) We apologize to all the experts who were not invited, having desired to participate in the study if they had known it. We had knowledge of them when already had finished the first round or the study had ended. For this kind of study, formal consent is not required.